The Scout Youth Foundation was established in 1991 to help ensure that Scouting is accessible to all young New Zealanders now and in the future and ensure project longevity. Since 1992, the Foundation has very generously contributed to SCOUTS New Zealand through annual grants and, for the first time in 2016, provided national event scholarships for youth members. Members can donate annually, give a lump sum or pledge a bequest, and their financial support helps build a long term endowment fund. Capital funds are then skilfully managed and invested so that the Foundation is able to generate and release an annual allocation for the benefit of Scouts across the country. With the creation of the Scouting Opportunity Fund, the benefits of Scouting can become available to all Kiwi youth who want to participate, no matter their circumstances. We think the experience of Scouting should be available to all young Kiwis and with your help we want to ensure no one is left behind. 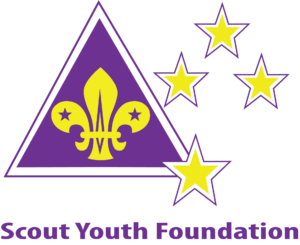 Find out more about becoming a member of Scout Youth Foundation. If you would like to discuss long-term giving or if you are considering leaving a bequest to the Scout Youth Foundation in your will as your lasting legacy to future generations, you can contact syf@scouts.org.nz. Together we can leave a lasting legacy.